While considering aspects of building and security management, it should be noted that each building is different with unique needs. It becomes easy to chart out a security plan once the risks are identified. Many buildings have security cameras installed as a part of their building security systems. However, cameras alone cannot provide sound security to residents. Protection comes from human capital which is capable of thinking logically and determining solutions. We provide mobile security patrols in car parks and paved areas. If required, our trained security guards are also capable of conducting a foot-patrol in areas where vehicles cannot enter. Whether a single building lot or a cluster of buildings, we are competent enough to offer a complete and safe solution. People entering a building are questioned about their purpose of visit, frisked, and their belongings scanned before they are issued a badge and allowed to enter a client’s premises. A tight vigil is maintained on people who have entered and exited the building to ward off any unwanted guests. 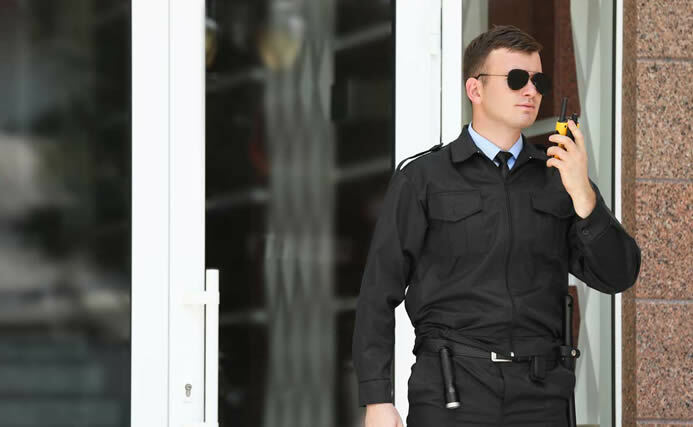 Apart from mobile and on-foot patrols, our security staff is also well-trained to operate surveillance equipment like monitoring CCTV camera footages, alarm settings and GPS monitoring. We offer cost-effective security solutions to our clients to help them live in a fearless and a harmless environment. We care for their safety and leave no stone unturned in providing them with the best security measures in the market.